What a night! 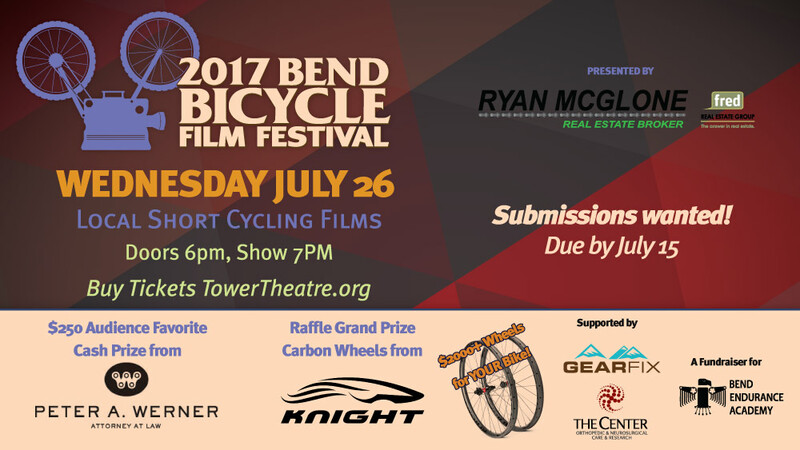 We sold out the Tower Theatre, raffled off a Paddle Board, recognized the Bend Bike Swap, BendBikes, Commute Options and MBSEF; raised money for the Bend Endurance Academy and enjoyed over 13 short films! Todd Looby won the Audience Favorite Award, $250 from Peter Werner, Attorney at Law, for his second time… Congrats to the filmmakers for putting together such a rad collection of movies in support of the Academy! 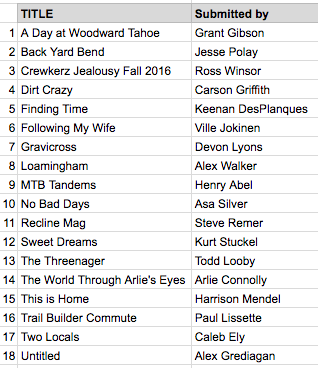 We are so pleased to announce the entire roster of finalists to the 2018 Bend Bicycle Film Festival! Spread the word about the show, it’s tomorrow night! Audience Favorite will win $250 from Peter Werner, Attorney at Law so make your applause and cheers heard! Keenan’s connection to the BBFF is mainly through former BEA Coach, Chad Cheeney, who is a Bend-Native and has coached Keenan through the Durango DEVO cycling program. 2017 Show is so close! The 2017 Official Selections have been set, check out the trailer video and see the full list of films below. We have moved our date to July because we inadvertently chose the same date as the COTA Movie Night featuring Ride Your F#%king Bike! Submissions are open for 2017! Check out the Submissions Guidelines and get in touch with Festival Director, Bill Warburton, to submit your work. 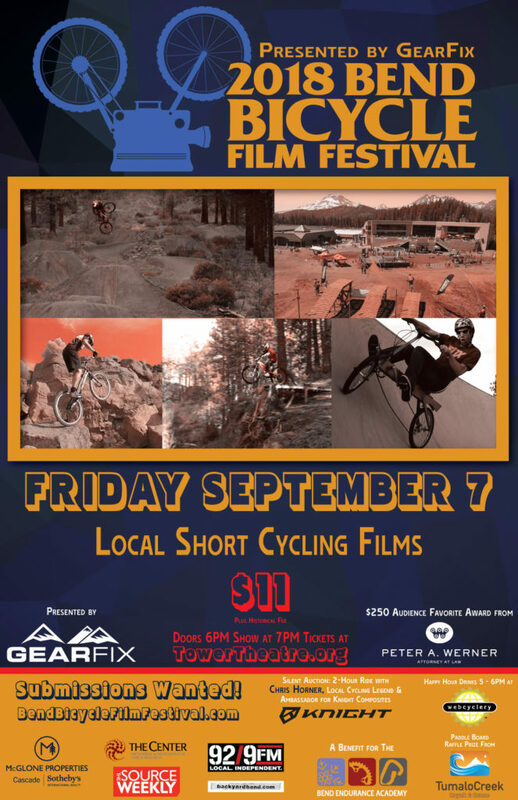 The Bend Bicycle Film Festival (BBFF) launched in May 2009 with two purposes in mind: to showcase local short films featuring our unique cycling culture here in Central Oregon and to create a social gathering where we can all reunite every spring to get excited about riding bikes! Our mission is to celebrate artistic expression and stimulate excitement within and around our local cycling community. 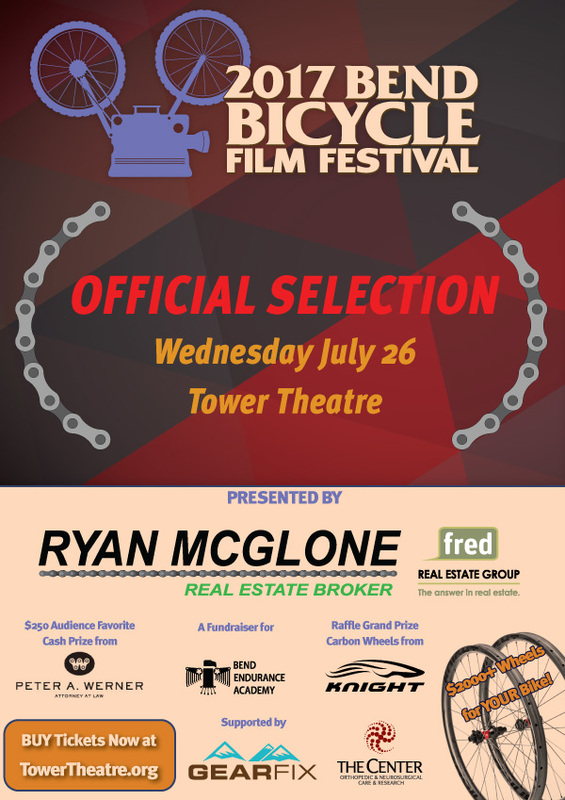 Cycling, as represented by the films and our Festival, represents a diverse array of interests from physical health to environmental stewardship to strengthening community because so many Central Oregon residents ride bikes in their daily lives. Proceeds from admission and raffle tickets directly support the The Bend Endurance Academy, a local non-profit offering youth, junior and masters development programs for cycling, rock climbing and Nordic skiing.